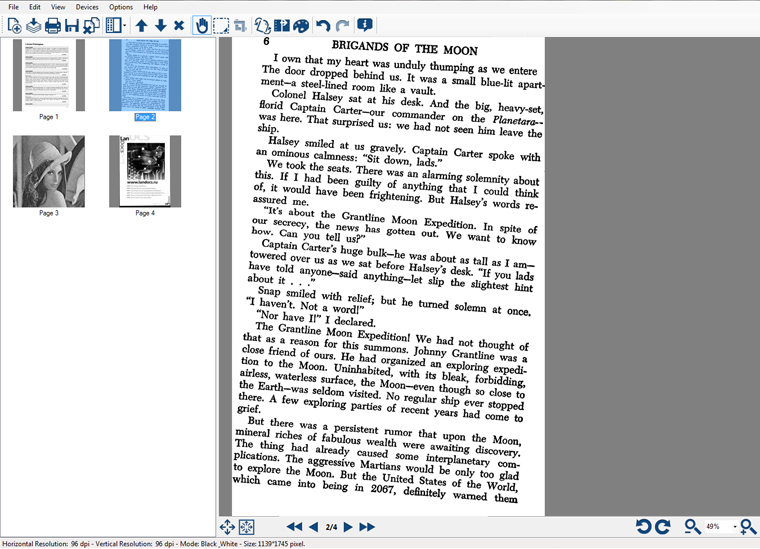 PaperScan Free Edition is a scanning application that provides plenty of tools to clean up your scans or existing scanned images and can then save the results as images or PDFs. The program supports both TWAIN and WIA devices, so should work with scanners, cameras, video capture cards and many other devices. And just in case that's not enough, it can also import images from files on your PC, including PDFs and regular graphics files. Wherever your image came from, PaperScan can quickly optimise it, allowing you to remove punch holes and borders in just a couple of clicks. An autodeskew option will automatically find and correct pages that aren't quite straight. There is a host of other tools to adjust colours, smooth an image, tweak contrast, remove noise, resize a page, and just generally make it look better than it did before. And when you've finished, your document may be saved as a TIFF, JPEG, PNG, JBIG2 or PDF file. Please note, this free version of PaperScan displays adverts, and is limited to batch scanning or importing a maximum of 10 pages at a time. To avoid this, you can purchase PaperScan Professional, which removes these restrictions and adds several new features (can save documents as multipage TIFFs, or PDFs, and can automatically remove blank pages during scanning). The Professional Edition costs $149, and you can discover more about it at the Orpalis site. What's new in 3.0.82 (see complete changelog for more info)? - Improved generated PDF compression. - Battery of minor bug fixes.